Product code: 1092 Categories: Sold Items, Sold Rings. The Art Deco era of the 1920’s produced some very elegant and timeless designs in jewellery, and here this is a wonderful 1920’s fancy cut sapphire and diamond ring. Hand made in 18ct yellow gold and platinum, there is so much attention to detail. Those wonderful triangular shaped facetted sapphires look so good with the geometric design of the era, set amongst the fine work of the platinium and then getting the sparkle from the diamonds. This ring is set with one old European cut diamond weighing 0.08cts, and then set with 4 rose cut diamonds. 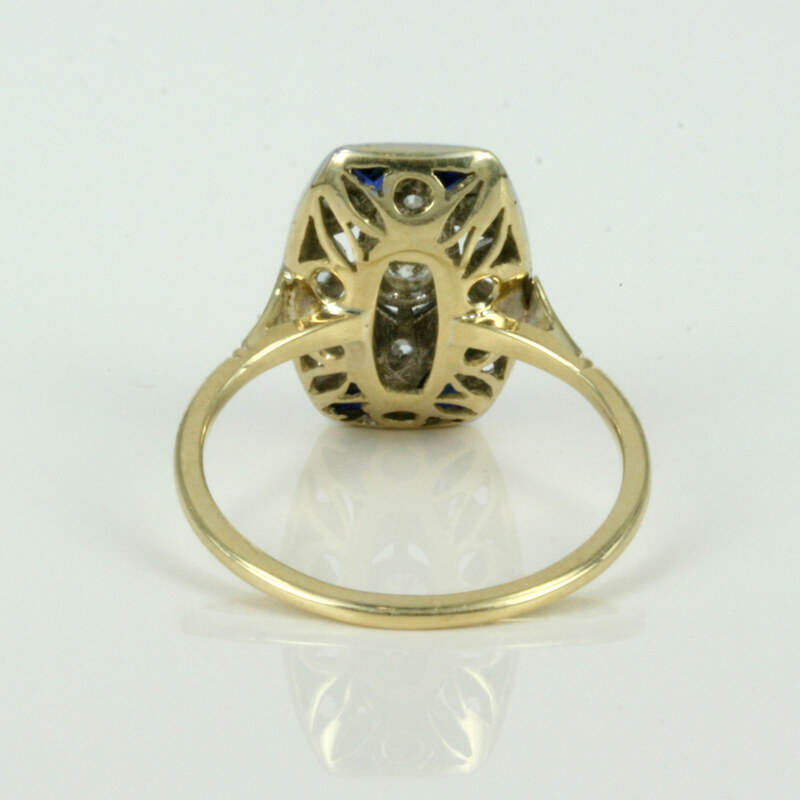 This is a very practical ring as it sits nice and flat on the finger, and can also be used as an engagement ring for someone who loves the wonderful Art Deco era of the 1920’s.